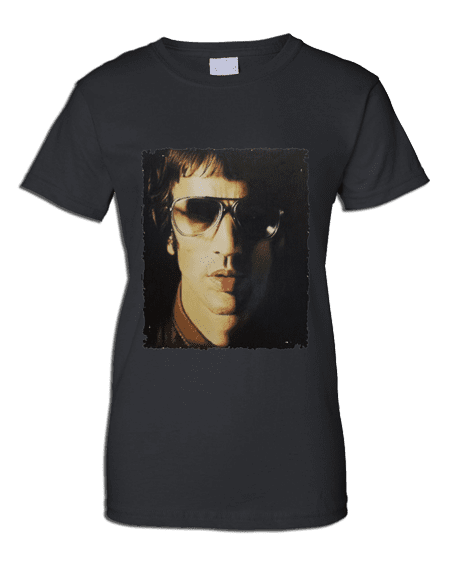 This Richard Ashcroft T-shirt has been drawn in coloured pencil by Mark Reynolds. Richard Paul Ashcroft (born 11 September 1971) is an English musician, singer and songwriter. He was the lead singer and occasional guitarist of the alternative rock band The Verve from their formation in 1990 until their split in 1999, and continues as a lead vocalist working with guitars and keyboards. He became a successful solo artist in his own right, releasing three UK top three solo albums. The Verve reformed in 2007 but again broke up by summer 2009. Ashcroft then founded a new band, RPA & The United Nations of Sound, and released a new album on 19 July 2010. Chris Martin of Coldplay has called Ashcroft “the best singer in the world”.